A former Army chaplain who has been listed as a deserter by the Department of Defense intends to file a civil rights lawsuit against the United States military for refusing to discipline three Evangelical Christian Army chaplains at Fort Stewart, Georgia. The three allegedly subjected Rabbi Jeffrey Goldman to vulgar displays of anti-Semitism in 2001 and 2002. Goldman, 35, a native of Toronto, said the Army listed him as a deserter in retaliation for speaking out about other chaplains’ anti-Semitic behavior at Fort Stewart. Goldman contends that he legally resigned from his stint as an Army chaplain in January 2002 when his transfer requests were rebuffed. Mikey Weinstein, head of the watchdog group The Military Religious Freedom Foundation, said Goldman approached him last month after reading a story reported by Truthout in which Weinstein exposed a pattern of anti-Semitism displayed in Biblical teachings by chaplains at Fort Leavenworth. Rabbi Goldman’s civil rights "were perniciously raped in a literally mind-boggling, intentional manner," Weinstein said in an interview. "The Army retaliated against him for speaking out. The Army refused to lift a finger to address Rabbi Goldman’s complaints despite documentary evidence that supports his claims. And now the Army is going to find itself the defendant in a lawsuit our organization will file on behalf of Rabbi Goldman for grossly violating his civil rights." Nazi Uniforms and Swastikas on the Wall of the Officer’s Club. According to documents obtained by Truthout, an investigation by the Army Inspector General into Goldman's claims of anti-Semitism shows that in May 2001, Captain Robert Nay, a Christian chaplain at the Fort Stewart Army base, hung Nazi uniforms and swastikas on the wall of the officers’ club at Hunter Army Airfield in Savannah, Georgia, during a May 23, 2001 interfaith prayer breakfast Goldman was ordered to attend. In an interview, Goldman said seeing the Nazi uniforms did not entirely surprise him. A month earlier, Nay had informed Goldman that he thought it would be "funny" if he dressed up soldiers in the Nazi uniforms on Holocaust Memorial Day, a time when the world memorializes the six million Jews who were slaughtered by the Nazis during World War II. When contacted for comment, Nay hung up the telephone. A public affairs official at Fort Stewart would not comment for this story, nor would he disclose his name. Goldman says he complained about Nay’s anti-Semitic tirades to his Fort Stewart chaplain supervisor, Major Larry Sharp. In a sworn affidavit, Goldman said Sharp told him that he "needed to get along with people who hate Jews." Moreover, Goldman was then informed by Sharp that he would now be reporting directly to Nay. Goldman said he immediately contacted Rabbi David Lapp, head of the Jewish Chaplains Council in New York, who had sponsored Goldman's chaplain service in the military. He was aware of Nazi paraphernalia and Anti-Semitism. Lapp said he was made aware of the Nazi paraphernalia and the episode of anti-Semitism Goldman says he was subjected to, but he dismissed that as "no big deal." "Lots of people collect Nazi material and swastikas," Lapp, now retired, said in an interview from his New Jersey home. "Sure, he told me about it. But that's not the issue here. The issue is he ran away from his commitment when he found out he was going to be sent to Afghanistan in 2001." Goldman disputes that account. He said he was never privy to information regarding "troop movement" and that Lapp’s accusation is an attempt to cover up the fact that he "turned a blind eye" to Goldman's numerous complaints of anti-Semitism and his requests for a transfer. "I would have willingly gone to Afghanistan," Goldman said. 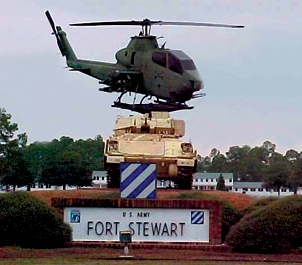 "I just didn’t want to be subjected to anti-Semitism at Fort Stewart. The whole reason I volunteered to become a chaplain is because I was eager to help Jewish kids who chose the military and needed spiritual guidance while being far away from home serving" in the Army. "Rabbi Lapp told me over and over again not to rock the boat in the military and that I should just do what the goyim(gentiles) want and keep four meters away from the people who were anti-Semitic." Lapp agreed that he told Goldman to ignore the alleged anti-Semitism at Fort Stewart. Goldman said Lapp requested his [Goldman’s] resignation, which was approved by Major General Buford C. Blount at Fort Stewart, according to documents. He was then listed as a Deserter. Goldman then returned to Toronto in January 2002. But because the Army was terribly short of Jewish chaplains, the deputy assistant secretary of the Army Review Boards in Washington, DC, overturned Goldman's resignation and demanded he return to service at Fort Stewart, documents show. Goldman agreed, but only on the condition that he be reassigned. The Army declined and Goldman refused to return. In 2002, Goldman was listed as a deserter, meaning he is subject to arrest if he returns to the United States. Goldman enlisted the help of the Canadian Parliament to address the military’s claims that he deserted his post. On July 16, 2004, Dan McTeague, parliamentary secretary to the minister of foreign affairs in Canada, intervened and wrote a letter to former Secretary of Defense Donald Rumsfeld, seeking an amicable resolution to the matter. "Mr. Secretary, it is my hope that you can offer some assistance in dismissing the charges against Rabbi Goldman," McTeague’s letter to Rumsfeld states. "Rabbi Goldman has no intention of returning to the United States to be arrested and forced to endure a court-martial that he believes would not be conducted fairly. Given the documentation Rabbi Goldman has provided me, I share his concern about him receiving fair treatment." The Army’s criminal division responded to McTeague's letter on October 13, 2004, saying the desertion charges would stand and urging Goldman to turn himself in to United States military authorities to face a court-martial. Moreover, the Army said there was no truth to any of Goldman’s claims of anti-Semitism - in contradiction with the Army’s own internal investigation. Weinstein said he expected the Army’s denials to Goldman’s claims, so he demanded that the rabbi take a lie detector test to measure the validity of his allegations of anti-Semitism. The administrator of the test, John McClinton, a forensic polygrapher and former Canadian military intelligence officer, said Goldman scored a "+21" in response to questions about claims of anti-Semitism at Fort Stewart, which McClinton says suggests Goldman is "being more than truthful." Reprinted with the kind permission of Truthout.